Keeping up with your nails can be a lot of work. It pays off knowing you have snap worthy fingers to show off. 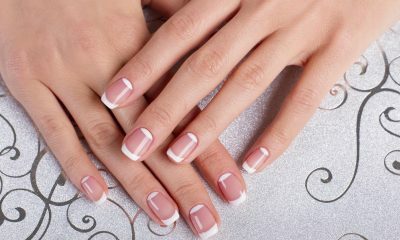 While manicures can be costly and time consuming, they are a great way to kick back and relax. Dragging your friends with you to the nail salon is a fun way to make the time even more enjoyable. A girls day can be just the right medicine to relieve stress. The end result of having gorgeous polish is just an added bonus. To save some money, you can plan one of these days at home. Gather your friends and pull out the polish. 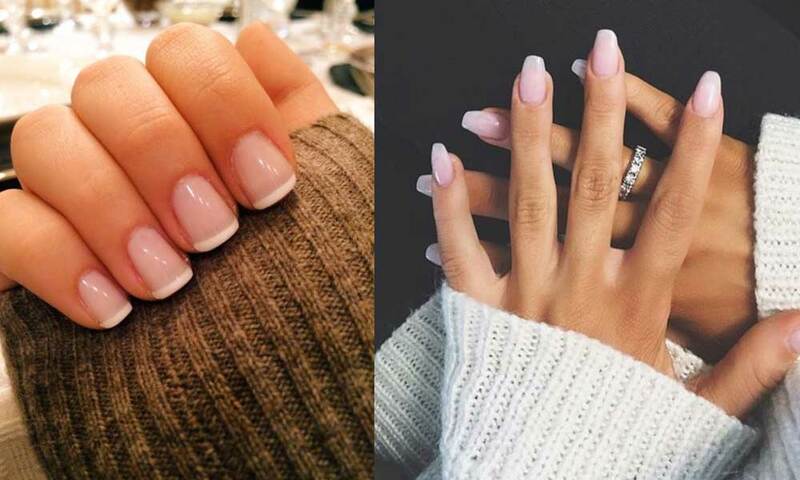 Whether you go to the salon, or stay at home, one of the classic cuts for nails is the short look. 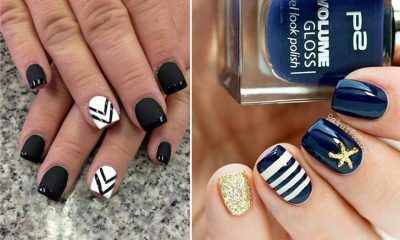 These designs are a great way to get away from the hassles of long manicures and still look good. Almost every woman knows the pain that comes with a broken nail. They also know when going from short nails to long ones the hassles of having to change your habits, including testing and typing. 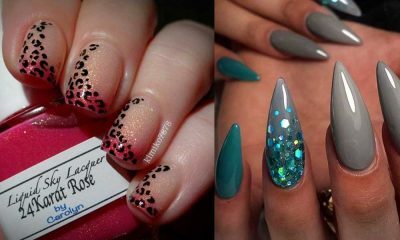 For perfectly polished fingers with less hassle to go through, try out one of these fun designs. The cuticle design is trendy right now, with new designs to try every day. These pink and white nails have added flare. 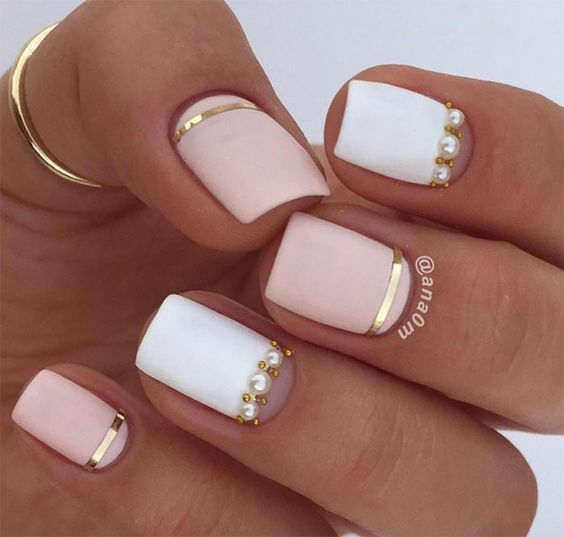 The metallic cuticle strip and pearl embellishments make for a classy look. This short manicure is perfect for even the fanciest of events. These picture perfect nails will be a great pairing for any summer wedding or big event. If you ask me what my spirit animal is I will tell you it is a mermaid. 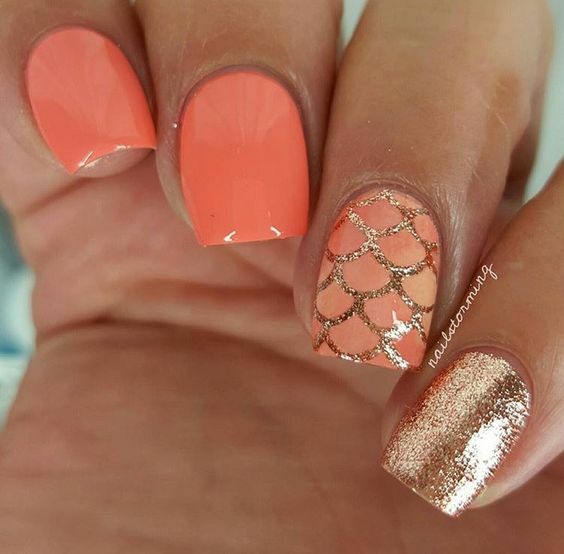 These coral nails are stunning and trendy. The glitter look makes them pop, and the color choice is one of the hottest colors of the season. While coral and glitter may never go out of style, the design may. Try this manicure out while the look is hot.